THROW a color powder party! Think: races, carnivals, back to school events, graduations, and more! 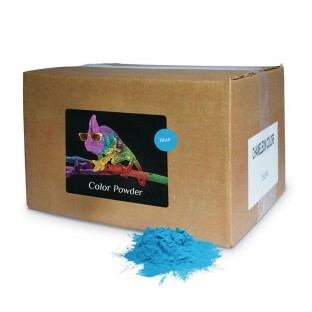 Hop onto the latest trend - have a Color Powder Party! Color Runs are great as fundraisers for schools, groups and events. Think races, carnivals, back to school events, graduations, to name a few. Anywhere two or more are gathered – with Chameleon Colors in hand – something amazing happens. To clean, just shake, brush, or vacuum it off. Soap & water works too. This premium powder has a cornstarch base and has been designed to be perfectly safe and easy to clean. Non-toxic, non-rash-inducing corn starch and FD&C and/or D&C colors. Not for consumption. Color safety information: Approved for use in foods, cosmetics and/or drugs. These products are not considered hazardous, 29 CFR 1910-1200. Made in USA. Download tips, FAQs, and fundraising ideas at ssww.com.